I love shopping for new parents. Baby products keep getting better and better and it's so fun to see all the new baby stuff that's available! It's also really fun to give the gifts that I wish were available when my kiddos were newborns. 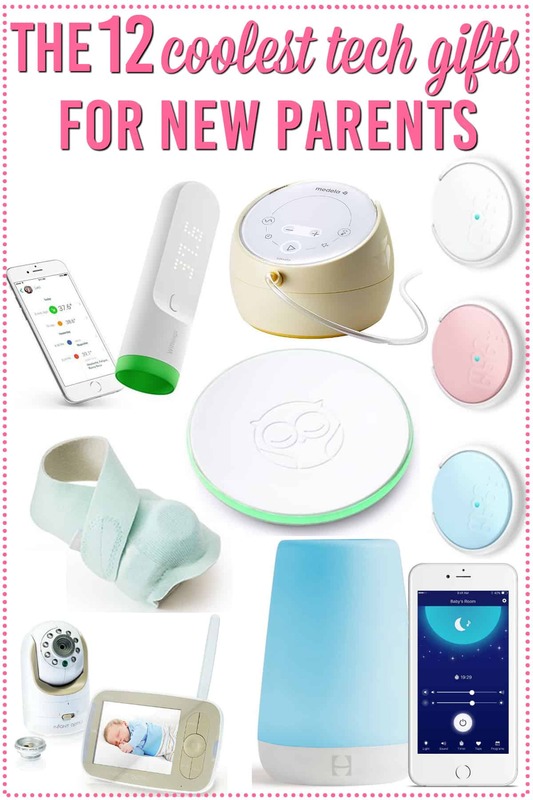 Tech gifts for parents that can help reduce stress or improve daily life are very rewarding for me to give and also rewarding for new moms and dads to receive! I find the integration of technology with baby products particularly interesting. 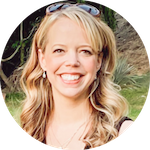 There are so many smart gadgets out there – products that can be paired and controlled with a smart phone or tablet – and I love seeing all the ways technology can change parenting trends. The best STEM interactive toys for toddlers. How my smart garage door opener keeps my home and family safe. Make your home smarter and safer with Nest. There are so many fancy new inventions coming on the market all the time, and I really think we need to be pretty critical when we're shopping for the latest tech gear. It doesn't matter if it's tech gifts for parents or any other kind of tech – it should solve a problem. Even if the problem is a trivial one, if the product doesn't make life easier or better, keep shopping! I kept that in mind as I came up with my list of the best tech gifts for parents of newborns and infants. There's a wide variety of problem-solving products on my list. These tech gifts cover sleeping, breastfeeding, healthcare and more! I decided to break my new parent gift ideas into a few different sections. They're all helpful in their own way, but this may make baby gift shopping a bit easier for you! 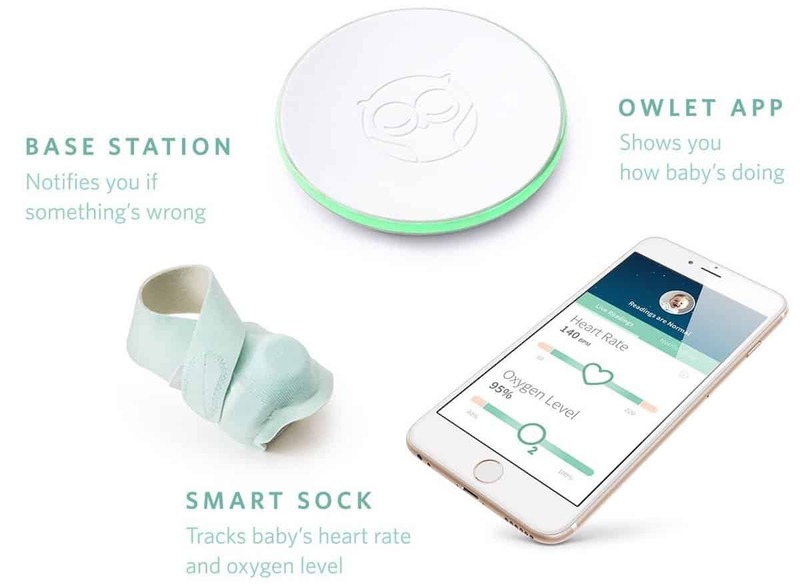 The Owlet Smart Sock Health and Oxygen Tracker is one of the coolest gifts for new parents. It tracks baby's heart rate and oxygen levels via the little sock. If something appears to be wrong then you're instantly notified via your phone. 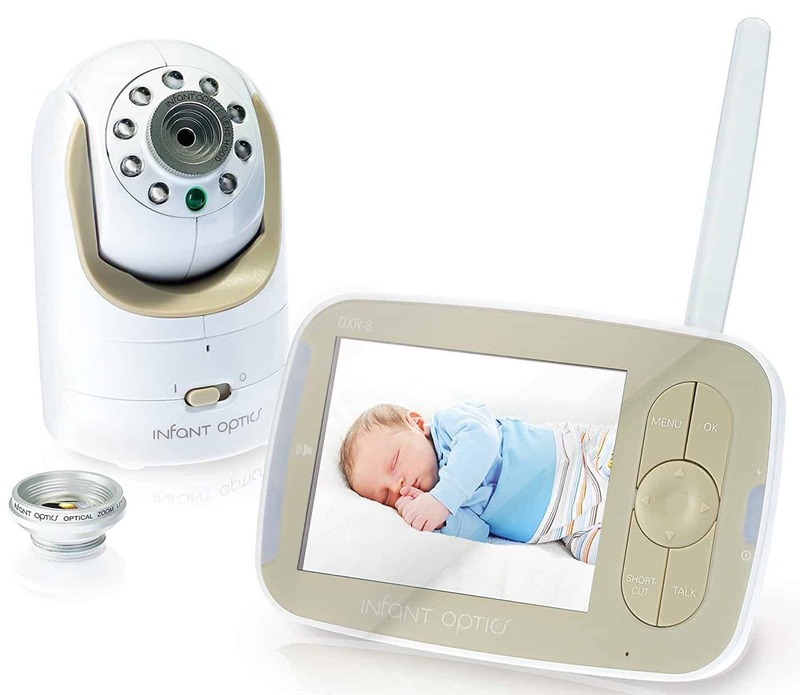 The Infant Optics Video Baby Monitor has interchangeable lenses that allow you to choose a close-up view of baby or a wide-angle view of the whole room. The lens can be shifted from another room, allowing you to pan and tilt to view all angles. Other aspects of this baby monitor include a sound-activated LED display, remote temperature monitoring and corded or wireless options. The MonBaby Smart Button Breathing, Rollover and Movement Monitor snaps securely to baby's clothing and it won't fall off. This innovative new monitor offers so much peace of mind for parents of a newborn! 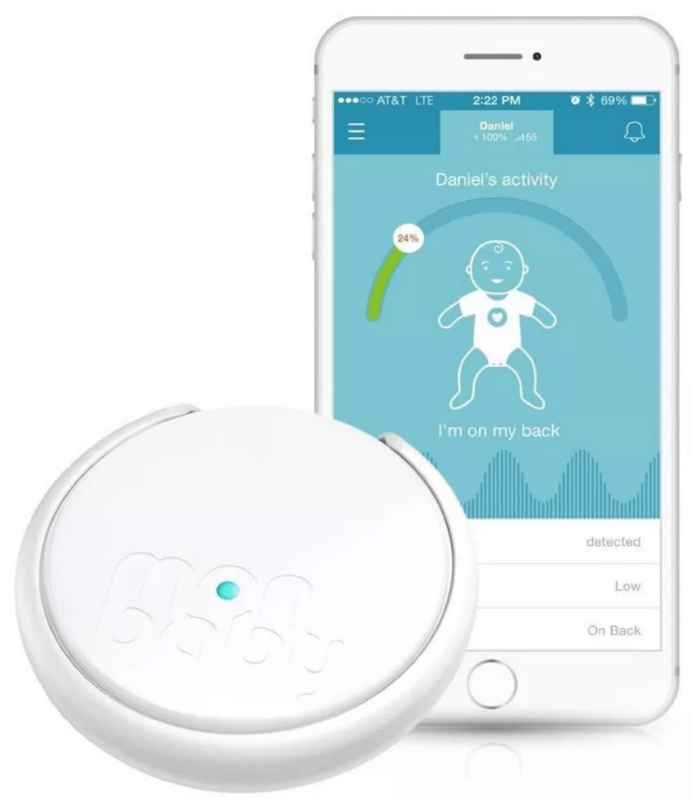 This compact device tracks baby's movements and sends an alert to your phone or tablet if your attention is needed. What sort of alerts with the MonBaby send you? 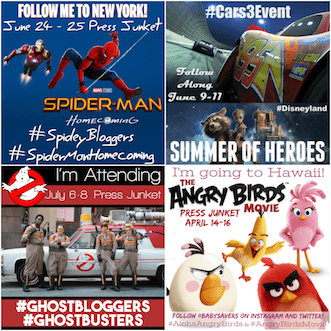 Notifications about stomach sleeping, irregular breathing, falls and unusual activity. 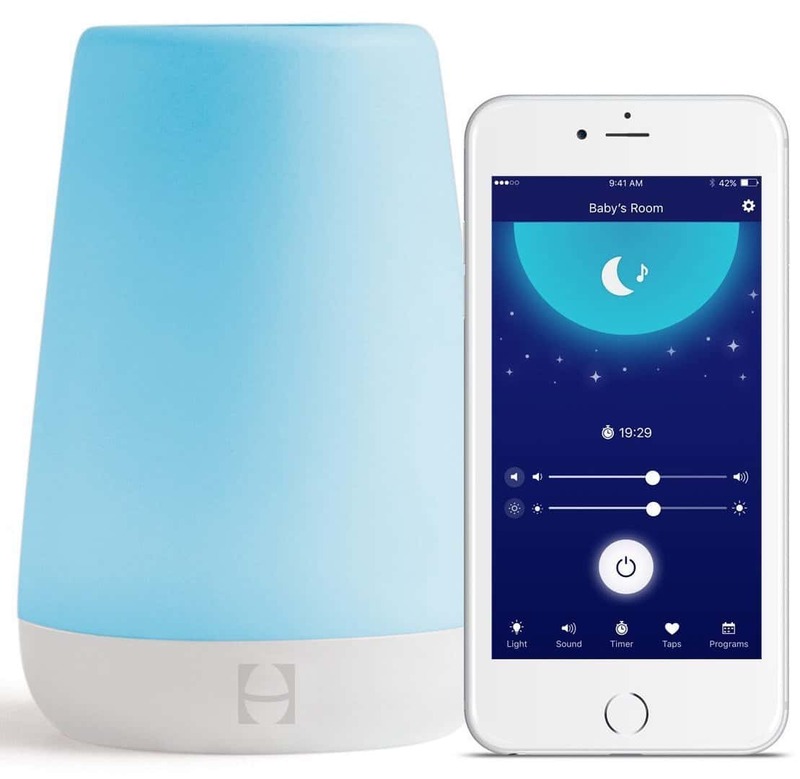 The Hatch Baby Rest Night Light, Sound Machine and Time to Rise Scheduler is the soothing baby machine that does it all! This 6-inch device can be controlled and programmed from the app, even allowing you to remotely turn on the light in a variety of soothing shades. You're also able to program or turn on sounds that promote healthy circadian rhythms, helping all of you get a better night's sleep. I love that you can schedule the lamp to glow at a set time every morning. It definitely helps toddlers know when it's ok to get out of bed! 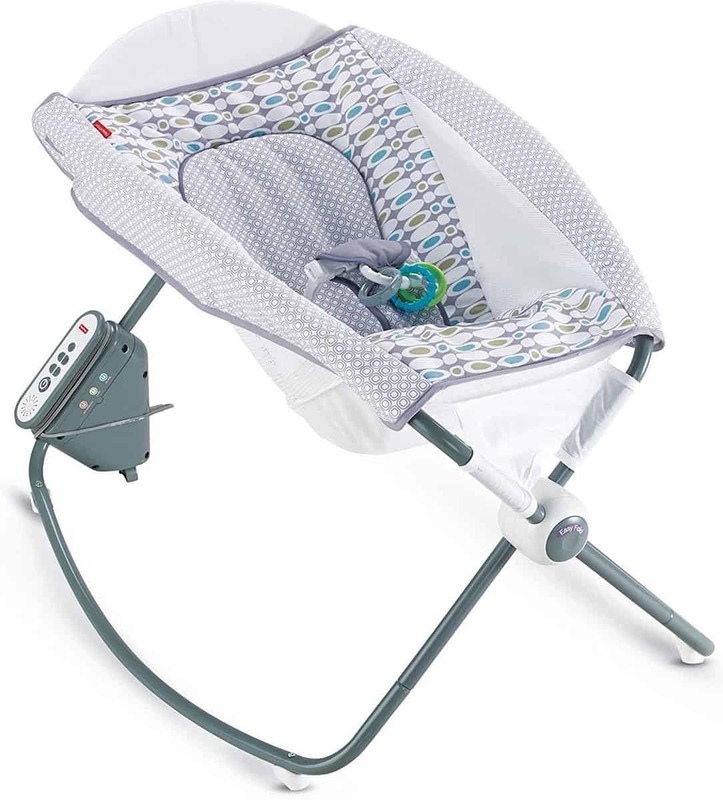 The Fisher-Price Auto Rock and Play Sleeper is an upgrade to the classic! Available in a variety of colors, this essential item can rock baby at two speeds, play music and soothing sounds and allows you to position baby at an incline or laying down. MyBaby Soundspa On-the-Go. 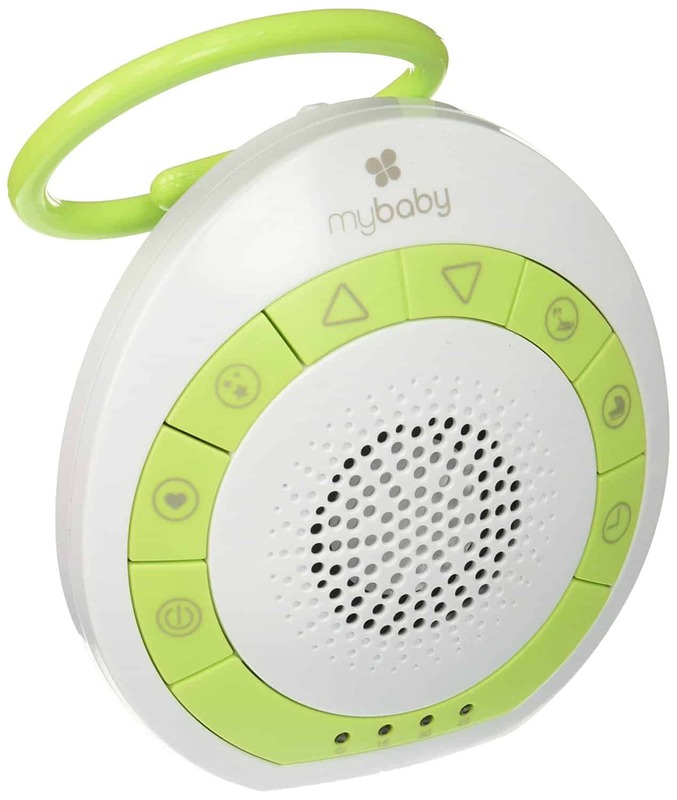 Plenty of babies get so used to the white noises played by their in-nursery sound machine that it's harder for them to sleep without it when they're on the go. Gift up this affordable and portable soothing sound machine that new moms and dads can clip to your stroller, diaper bag, car seat or anything else that can be set up near baby! 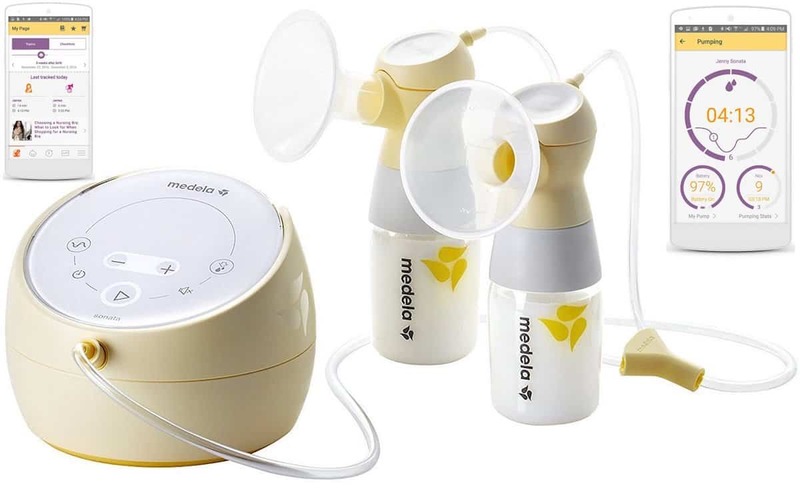 The Medela Sonata Smart Breast Pump is the only Medela breast pump that has a direct and instant connection to the MyMedela app. New moms can get the confidence of a Medela pump with the convenience of automatic tracking in the MyMedela app. What does the MyMedela app do? It offers a personalized pumping dashboard with real-time tracking of pumping sessions, breast pump battery status, timer and pumping reminders. 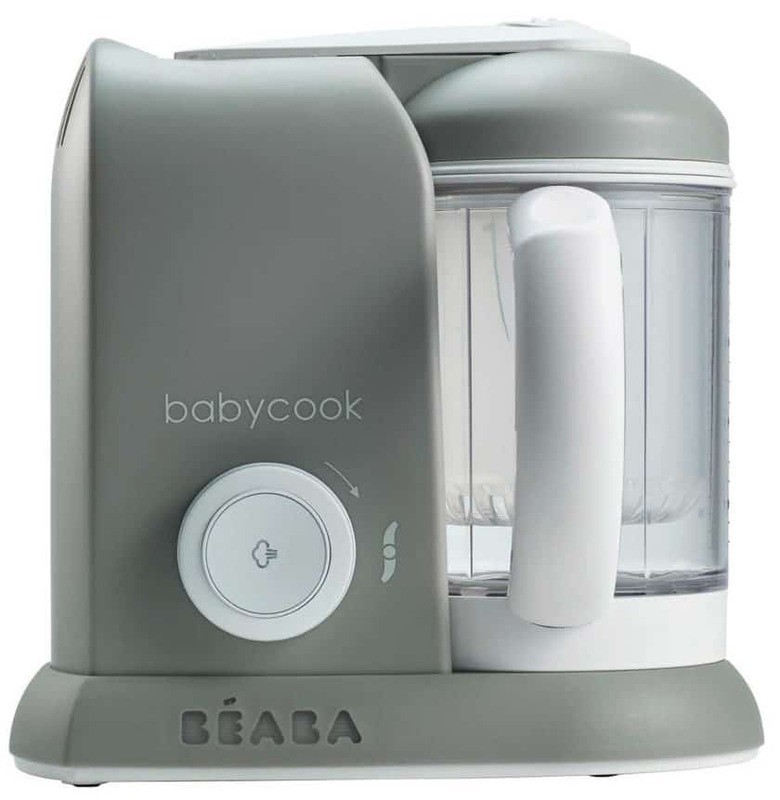 The Beaba Babycook is a one-of-a-kind baby food maker that lets parents of babies and toddlers steam, blend, warm and/or thaw foods to prepare fresh, healthy meals for baby. Moms and dads can blend foods of their choice to any consistency – from super-smooth to extra-chunky and anything in between! 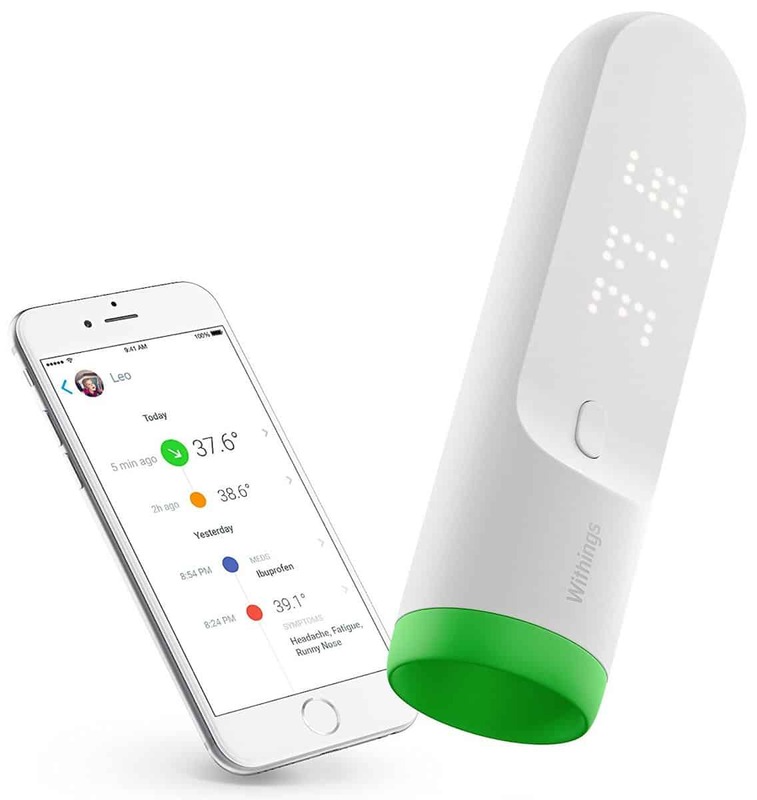 The Nokia Thermo Smart Temporal Thermometer is a highly precise forehead thermometer that offers color coding to quickly recognize fevers. Temperatures are automatically recorded in the app and data can be saved for up to 8 users. The Hatch Baby Grow Smart Changing Pad and Scale is a combination item that makes so much sense! Everyone else seems to think so, too, because it's often sold out. But patience will be rewarded – the brand is restocking them frequently! The sleek changing pad and scale combo helps new parents track baby's weight gain between doctor visits. New parents can use the feeding weight feature to measure how much baby is drinking at every feeding. Parents can even stay connected if others are caring for their baby! 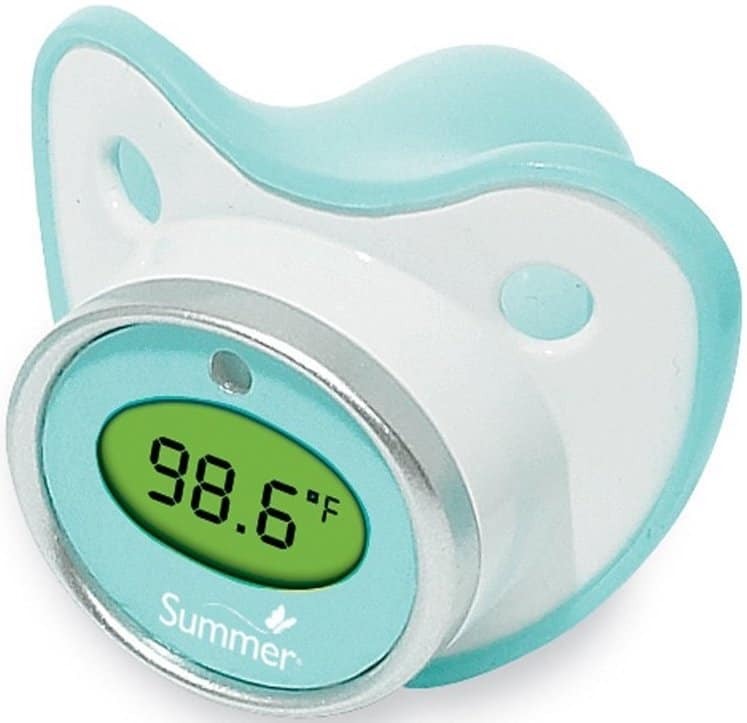 Parents can use the Summer Infant Pacifier Thermometer to quickly and conveniently take a baby or toddler's temperature while providing comfort at the same time. The Fever Alert glow feature allows parents to get a nighttime reading without turning on lights and disturbing baby's sleep. 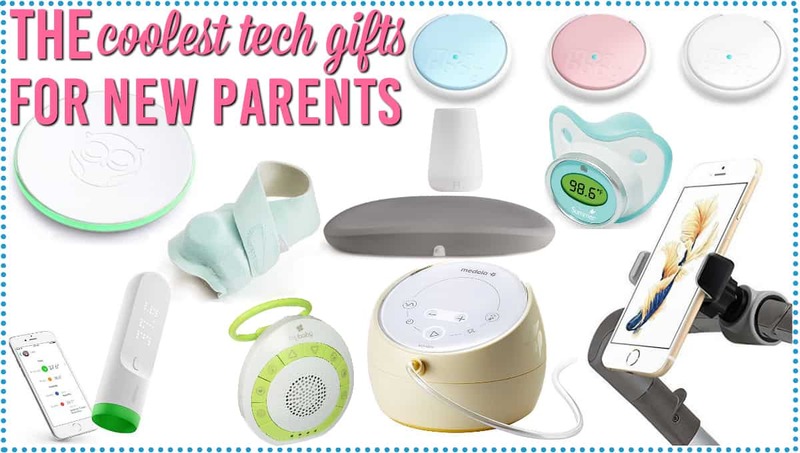 I love this affordable item – it's kind of the ultimate in tech gifts for new parents! 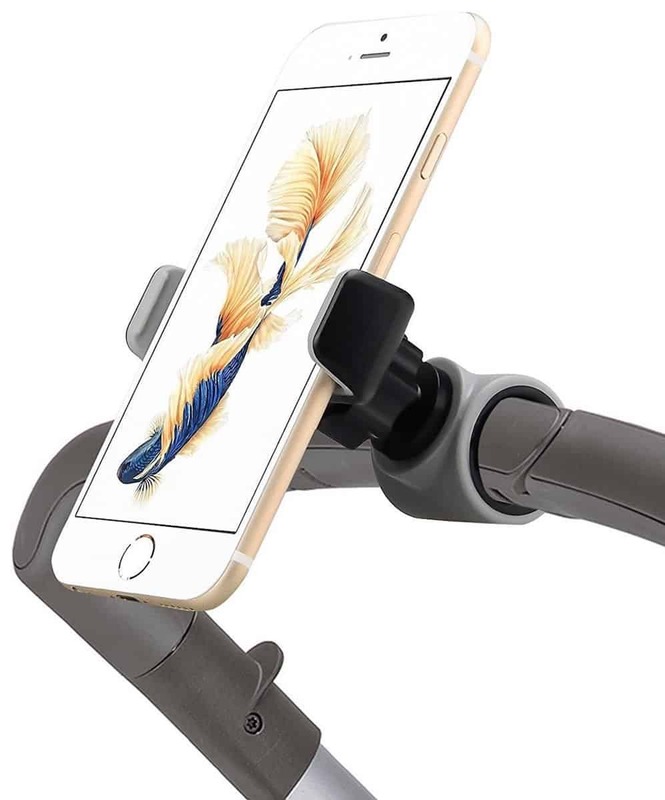 Tell those new moms and dads to put a drink in that cupholder — the Emmzoe Smartphone Stroller Mount is an anti-slip arm that clamps universally around stroller handles. The flexible grip stretches to hold phones measuring a variety of widths, and the ball joint allows the user to swivel the screen for varying views. Do you have other ideas for tech gifts for new parents? I'd love to hear about them!